You are here: Home | News | Cherry Picker Hire with JMS – a useful guide. 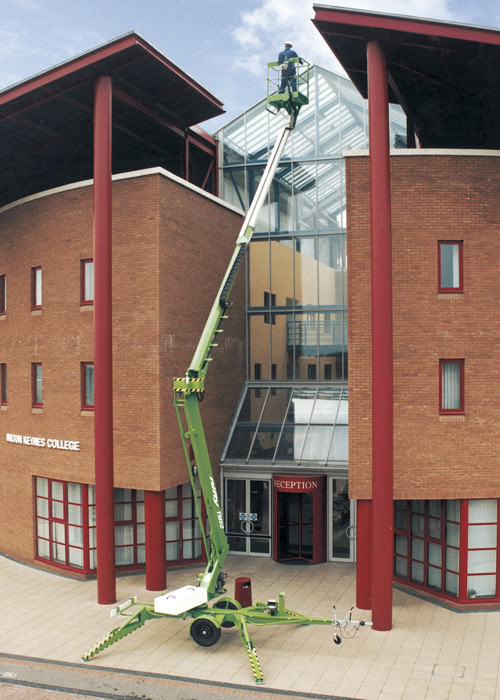 Cherry Picker Hire with JMS – a useful guide. The cherry picker hire team at JMS work with knowledgeable customers who know a great deal about powered access and working at height. 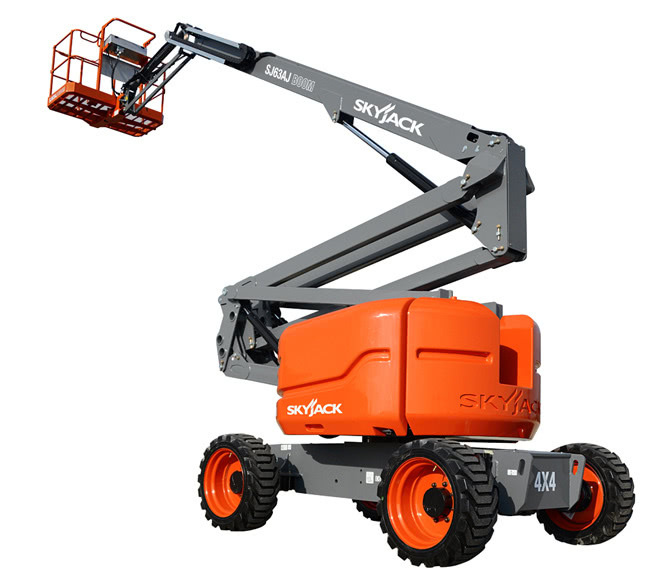 As a way of sharing information with colleagues, we have compiled a guide for cherry picker hire options along with the functionality and purpose of different cherry pickers. With that in mind, we have created this simple guide to cherry pickers for our hire customers, so they have a better idea of which machine best suits their needs. 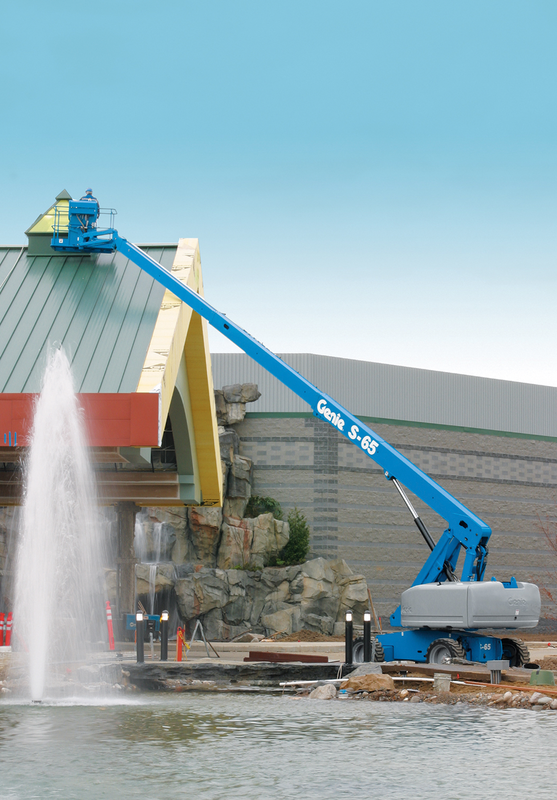 The term cherry picker describes ‘boom type’ platforms, so are called boom lifts. 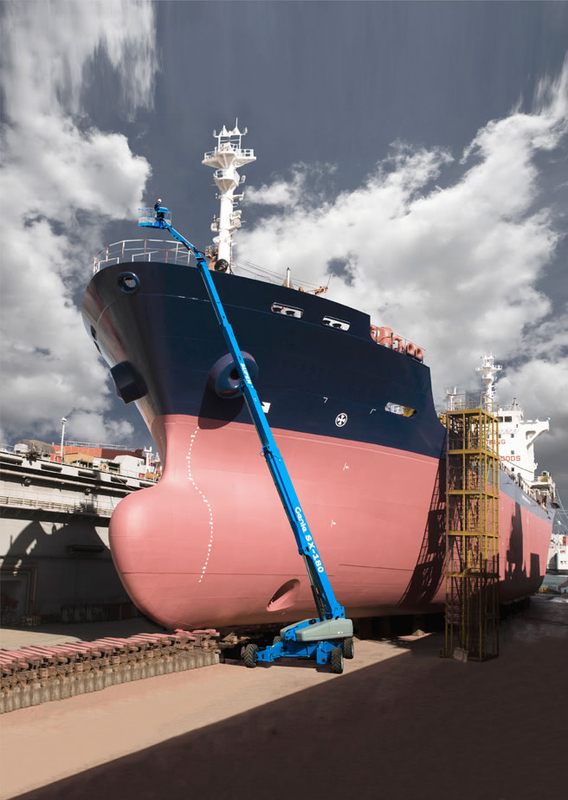 They provide an elevated aerial platform to allow operators to work at heights that are difficult to reach. They have developed in design to meet safety, productivity, modern construction, and maintenance demands. There are three power options for cherry pickers – electric cherry pickers, diesel cherry pickers or bi-energy cherry pickers. Electric being ideal for indoor use. Diesel cherry pickers are for outdoor use. They also tend to be the larger machines that need more power for higher elevation. Bi-energy cherry pickers allow the operator to switch between power options. 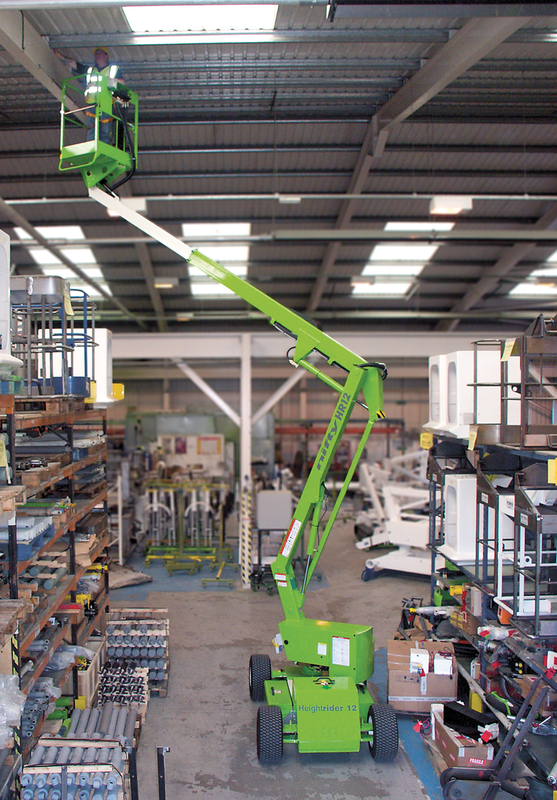 JMS are at the forefront of modern cherry picker ‘boom lift’ aerial platform technologies. 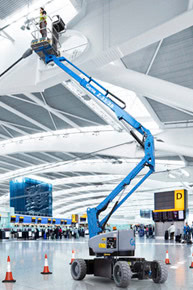 JMS have seen a growth in demand for larger machine hire. The two largest self-propelled cherry pickers in the world are the JLG 1850 and the Genie SX180, both of these cherry pickers are available for hire with JMS. The JMS fleet includes machines that offer excellent outreach over and above obstacles to work safely at a height both indoors and outdoors. Straight booms, also called stick booms, or telescopic booms. Non-marking tyres, making them ideal for indoor use. Power Source Type: Diesel Boom Lifts Diesel boom lifts for external use including rough terrain boom lifts for tough site conditions. Also known as a hybrid power source, the key feature is onsite flexibility for both indoor and outdoor use – this is because it can easily be swapped from electric operation to diesel operation. Articulated Boom Lifts Excellent working envelope. (Straight/Stick Boom Lifts) Offering greater outreach. Ability to operate in restricted spaces. 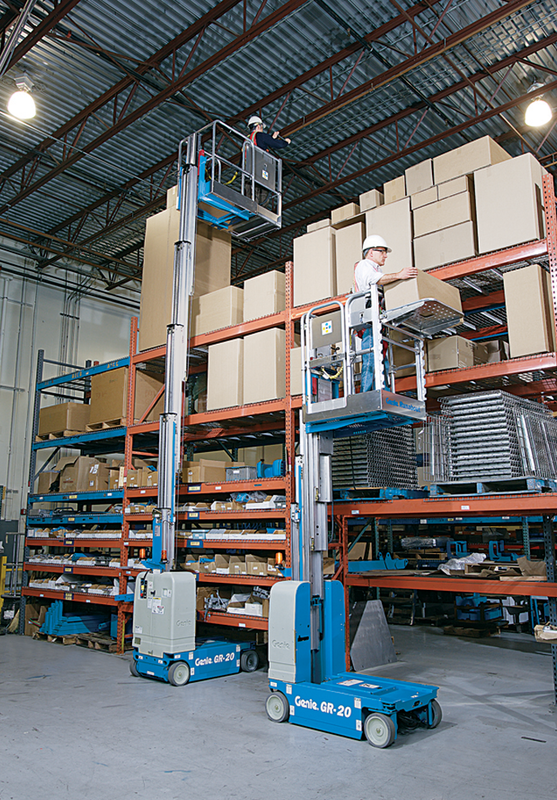 Mast Boom Lifts Ideal for Indoor use. Spider Boom Lifts / Tracked Boom Lifts Spider boom lifts are extremely versatile machines due to their compact dimensions; Ideal for restricted spaces. Spider booms have tracked wheels so are able to travel over and work on uneven ground. 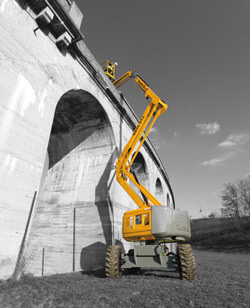 Rough Terrain Boom Lifts Ability to be driven on uneven ground. 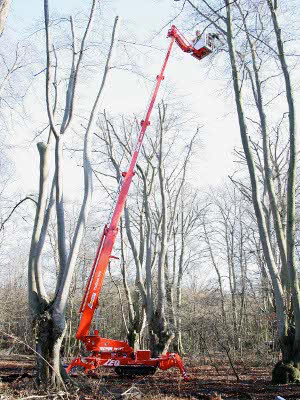 JMS offer cherry picker hire machines that allow travel on rough sites. Trailer Mounted Boom Lifts Towable by car or van. Lighter and compact in size. Often bi-energy, so can swap from electric to diesel operations depending on the power required for the job. 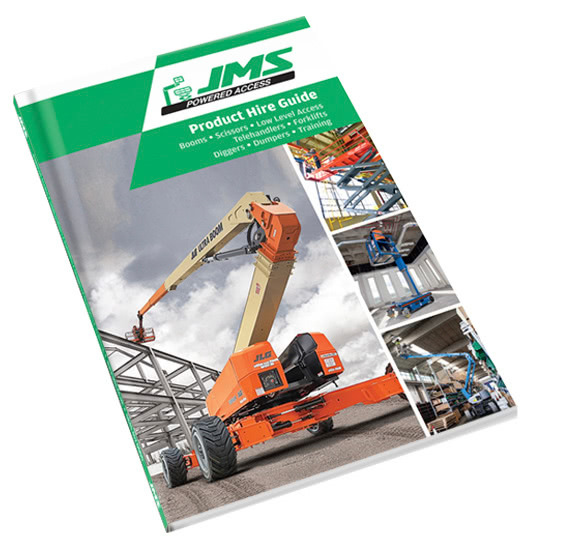 JMS has cherry pickers from the world’s leading manufacturers including: Genie Boom, Skyjack Booms, JLG booms and Niftylift, Manitou, Teupen and Hinowa. JMS provide cherry picker hire across the UK from its three locations in Harpenden, Leeds and Pinewood Studios and next day availability. If you are looking for cherry picker hire in the UK, why not give the team at JMS a call on 0845 457 000, or email hire@jms.co.uk.